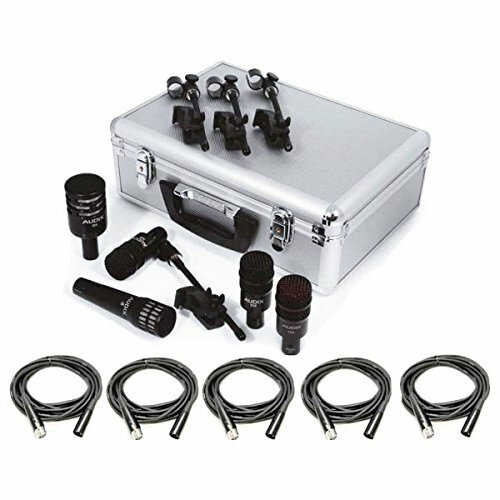 The DP5A is a perfect complement of dynamic microphones for close miking a 5 piece kit. 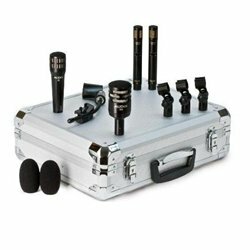 All mics perform equally well whether it be on a live stage or in the studio. Included in the DP5A drum mic package is the D6, Audix's flagship kick drum mic, two - D2's for rack toms, one - D4 for floor tom, and one - i5 for snare. Also included are four DVICE rim mount clips for every mic except the D6 kick drum mic, which comes with a heavy duty snap to fit nylon clip. 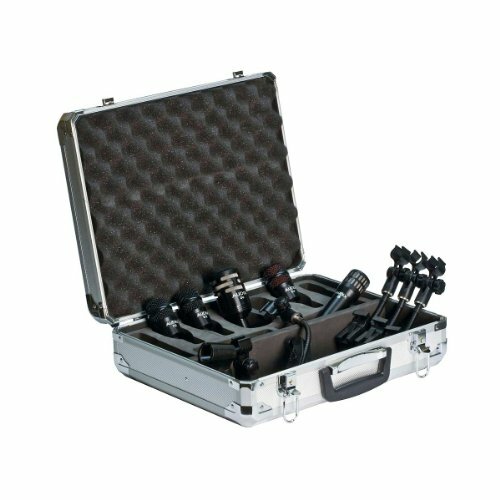 All mics and clips are conveniently packaged in a foam-lined aluminum carrying case for travel or safe keeping when the mics are not in use. Includes 1 Year Free Extended Warranty. Audix revolutionized drum and percussion miking by designing instrument specific microphones. With the introduction of the Fusion Series, Audix created two attractively priced packages for todays up and coming professionals. The FP5 Drum Pack contains a combination of f2, f5 and f6 dynamic microphones. The f5 is tuned for snare drum and can be used as well for bongos, timbales, guitar cabinets and acoustic instruments; the f2 is ideally suited for rack and floor toms, congas, djembe, bongos, timbales, brass and woodwind instruments. The f6, with its extended bass response, is designed for kick drum, bass cabinets, cajon and other low frequency instruments. Built to withstand the rigors of live stage applications, the Fusion Series mics are also excellent for rehearsal, school, House of Worship and a wide variety of home recording applications. 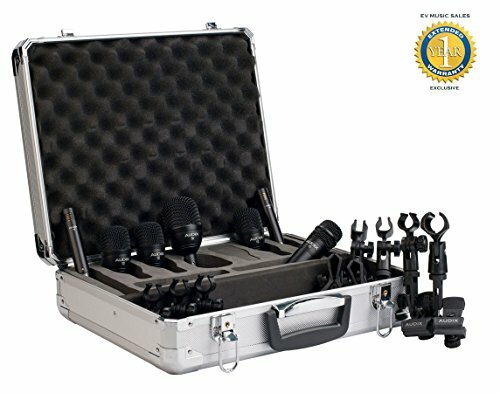 The DP5a, which is identical to the DP7 except for the condenser mics, is a perfect compliment of microphones for a 5 piece kit. All mics perform equally well whether it be on a live stage or in the studio. Included in the DP5a drum mic package is the D6, Audix's flagship kick drum mic, two- D2's for rack toms, one D4 for floor tom, and the i5 for snare. Also included are four D-Vice rim mount clips for every mic except the D6 kick drum mic, which comes with a heavy duty tension fit mic clip. 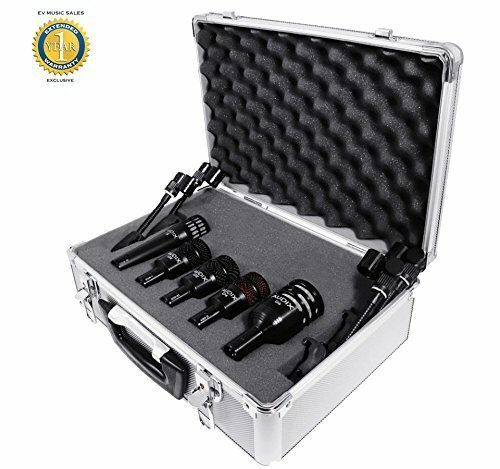 Everything is conveniently packaged in a foam-lined aluminum carrying case road case for safe keeping when the mics are not in use. 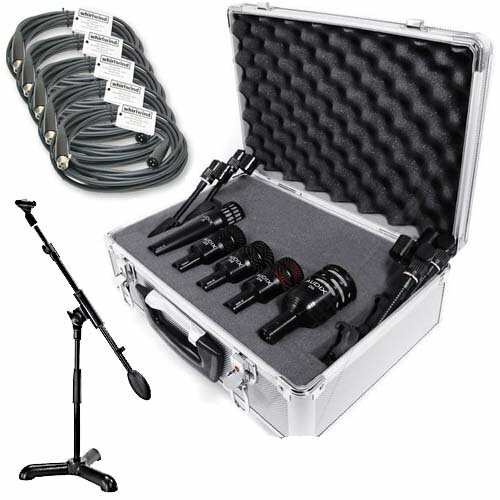 The DP5A is a perfect complement of dynamic microphones for close miking a 5 piece kit. All mics perform equally well whether it be on a live stage or in the studio. Included in the DP5A drum mic package is the D6, Audix's flagship kick drum mic, two - D2's for rack toms, one - D4 for floor tom, and one - i5 for snare. 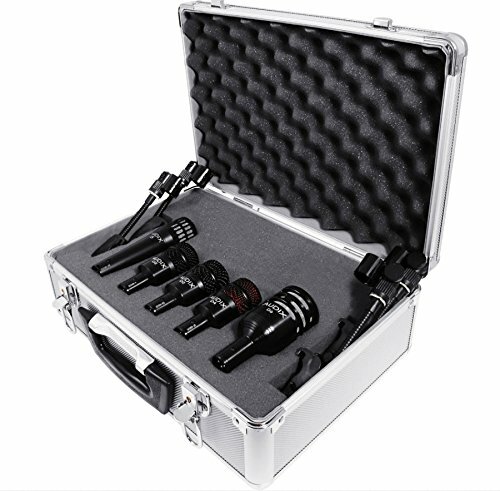 Also included are four DVICE rim mount clips for every mic except the D6 kick drum mic, which comes with a heavy duty snap to fit nylon clip. Includes 1 Year Free Extended Warranty. Audix revolutionized drum and percussion miking by designing instrument specific microphones. With the introduction of the Fusion Series, Audix created two attractively priced packages for todays up and coming professionals. The FP7 Drum Pack contains a combination of f2, f5 and f6 dynamic microphones. The f5 is tuned for snare drum and can be used as well for bongos, timbales, guitar cabinets and acoustic instruments; the f2 is ideally suited for rack and floor toms, congas, djembe, bongos, timbales, brass and woodwind instruments. The f6, with its extended bass response, is designed for kick drum, bass cabinets, cajon and other low frequency instruments. Built to withstand the rigors of live stage applications, the Fusion Series mics are also excellent for rehearsal, school, House of Worship and a wide variety of home recording applications. 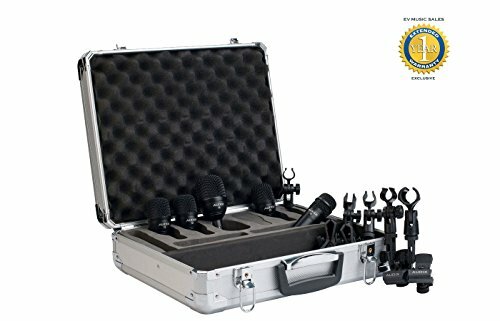 Looking for more Dp5a Mic similar ideas? Try to explore these searches: Harley Davidson Carbon, Handset Cordless Phone, and Nickel Bear. Look at latest related video about Dp5a Mic. Shopwizion.com is the smartest way for online shopping: compare prices of leading online shops for best deals around the web. 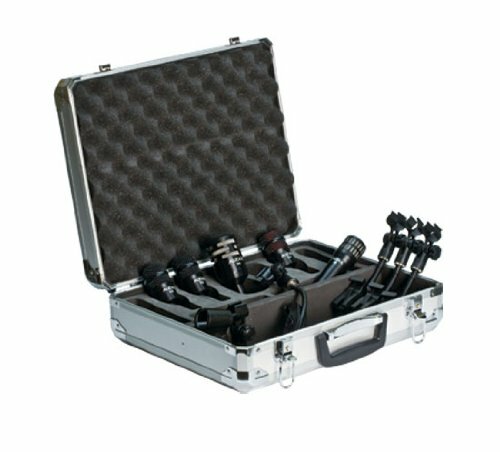 Don't miss TOP Dp5a Mic deals, updated daily.